Look at this beautiful little bunny just waiting for one thing: to explore the world with your little one! 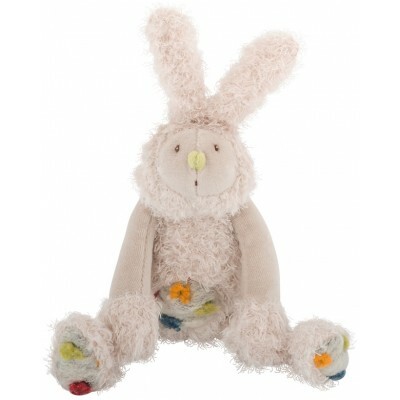 This little animal measures only 23 cm, it can slip into any bag so that baby is never lost. In off-white colour, it is also dotted with colourful rounds. Finally, what we prefer are its two cute large ears!